1) Material: Bk7,BK270, Quartz, Caf2, Sapphire etc 2) Diameter tolerance: +0.0/ ­-0.1mm 3) Angle tolerance: 90°×3=±0.5 Integral tolerance 5''-3' 4) Surface quality: 80/60,60/40, 40/20,20/10,10/5 5) Surface Flatness: at 632.8nm lambda to lambda /20 per 25mm 6) Bevel: 0.1 - 0.5mm 7) Clear aperture:>90% Reflecting prisms may invert, rotate, deviate or displace a beam. 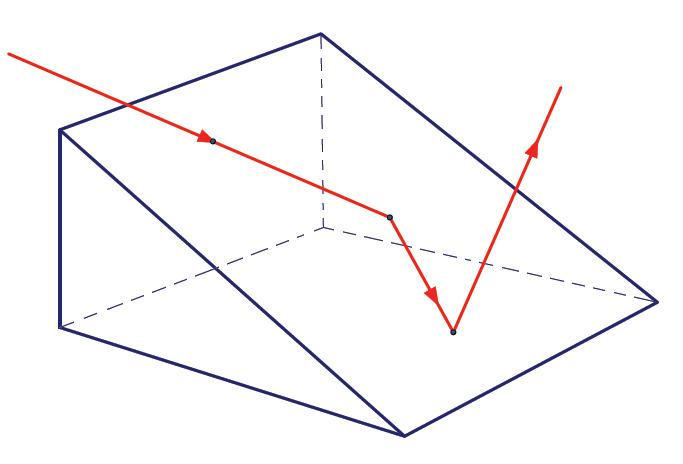 Dispersing prisms produce spectral separation for spectroscopic applications or for tuning a laser output. We provide many kinds of high precision prisms, including Penta Prism, Beamsplitter Penta Prism, Right Angle Prism, and Corner Cube. Our micro Penta Prism and Right Angle Prism are widely used in optical communication, such as optical switches. Other prisms, such as Dove Prism and Roof Prism are also available upon request.